W. W. Norton & Company, 9780393353587, 336pp. For months in early 1980, scientists, journalists, and nearby residents listened anxiously to rumblings from Mount St. Helens in southwestern Washington State. Still, no one was prepared when a cataclysmic eruption blew the top off of the mountain, laying waste to hundreds of square miles of land and killing fifty-seven people. Steve Olson interweaves vivid personal stories with the history, science, and economic forces that influenced the fates and futures of those around the volcano. 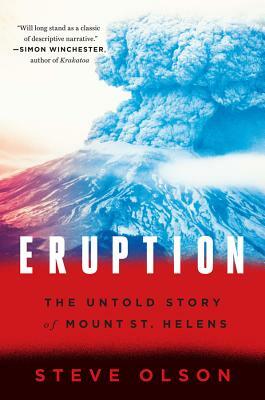 Eruption delivers a spellbinding narrative of an event that changed the course of volcanic science, and an epic tale of our fraught relationship with the natural world.